This is the second guide in our Zapier Automation Content Series. 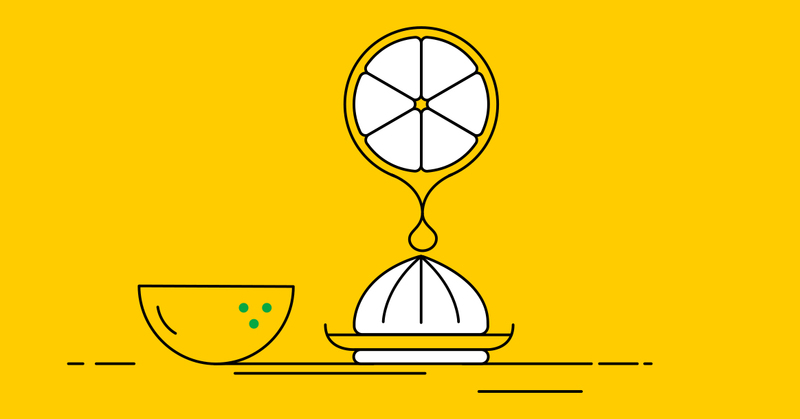 We’ve prepared three instructional guides to help you use Zaps to automate manual workflows. You’ll also find two practical use cases profiling scaling sales teams who are using Zapier to connect up multiple apps and streamline their processes. Check out each of the 5 guides to learn how to recapture huge chunks of time and spend more time talking to leads and customers!!! A recent survey by Accenture reported that managers across all levels spend more than half of their time on administrative tasks. That means that less than half of their time is spent on strategic, meaningful work. This problem should be a priority for every sales manager looking to drive faster growth. And reducing admin can help every individual sales rep who wants higher commission, fewer overtime hours, and less anxiety about hitting quotas every month. Automation technology is designed to solve this problem. You don’t need fancy, expensive tech either. There a simple, easy-to-implement, and inexpensive tools you can setup right now to shave hours of time off your admin workload. Establishing automated workflows can transform how your sales team operates. Not only do you reduce wasted time - but your team can reinvest that time on selling to give you so much more chance of smashing your quotas. Many sales managers postpone setting up automation tech as they simply can’t find the time to work on longer term fixes to a sales process under constant strain. Technically, your existing systems might work. Sometimes it feels easier to plod along the way things are. But without automating your admin - you’ll find it near impossible to scale your efforts and achieve sustainable success. You’re almost willing more innovative competitors to eat away at your market share. That’s why we’re here to tell you that automating workflows doesn’t have to be time consuming or difficult. In fact, our Zapier integration takes all the hard work out of the setup, so you can get on with the important, skilled parts of selling. Zapier is a workflow automation tool allowing you to easily connect all your favorite tools and apps, so you can win back time to focus on your most meaningful work - building relationships and securing customers. For a refresher on how Zapier works, you can catch up on our dedicated guide to how to streamline your pipeline and automate almost anything with Zapier. If you’re using Pipedrive to manage your sales process, Zapier allows you to integrate over 1000 apps with your CRM. From blitzing manual data entry to churning out custom reports - Zapier can help to absorb your most tedious and painful tasks. 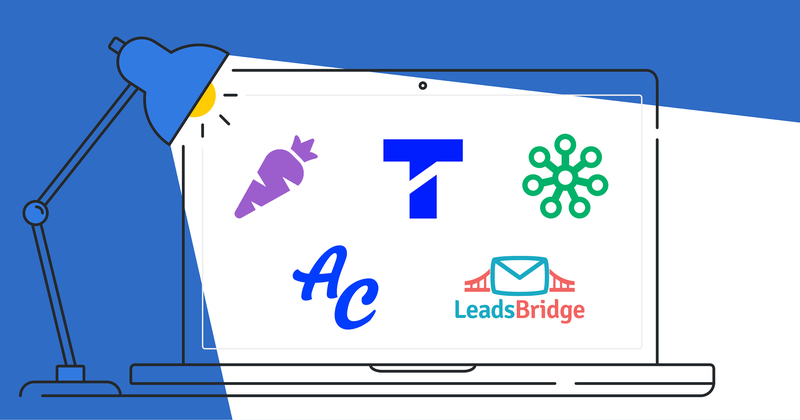 Here are some of the most popular integrations that our customers use to save a whole bunch of admin time each and every week to reinvest into more strategic sales work. You need your CRM to act as a central hub for all your customer data. With so many tools to capture new leads, keeping your CRM up to date can be a massive time sink. You also run the risk of succumbing to human error and missing critical opportunities because you accidentally made an administrative oversight. 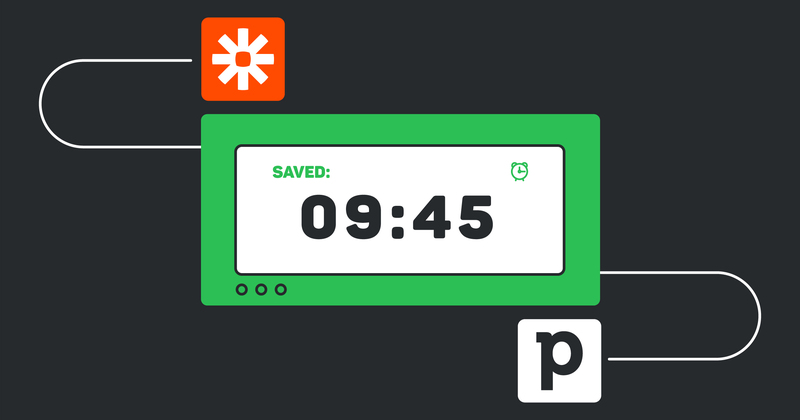 Zapier can help you capture new leads and automatically add them to Pipedrive. Whether the data comes from a web form, a newsletter subscription, or your latest social media campaign - a simple Zap can do the hard work for you. Form software is an effective way to capture leads and gather information about them. While Pipedrive's web forms feature allows you to create deals and people in Pipedrive directly from new form responses, many organizations choose to use other form tools like Wufoo or Typeform, depending on the functionality they need. Rafael, Project Manager and Partner at Arcus Business Design, says many of his customers like to use Typeform. He explains that this tool is particularly powerful and highly customizable due to the hidden fields capability. The team at Arcus Business Design help businesses automate processes by finding the right SaaS solutions to fit their needs. Rafael shows his customers how Zapier can banish manual data entry by automatically sending form responses to Pipedrive and creating contacts or deals based on this information. Joseph Fitzgibbon, VP of Growth at ClickMechanic, shares how his business also found success with web form integration. ClickMechanic allows you to easily and transparently book a mobile mechanic online. While there are many advantages to this on-demand service, Fitzgibbon explained that the biggest disadvantage of the online model was lack of conversation when potential customers struggled to diagnose the issues with their cars. With this in mind, the team at ClickMechanic decided to set up a Mechanic in Residence initiative. This not only opens up the option to provide free phone consultations to ClickMechanic’s customers, the programme also offers a new career path for car mechanics who are unable to continue working in the field. Now they can use their skill set and experience to diagnose issues over the phone. The team at ClickMechanic knew if they wanted to drive more sales and scale quickly, they needed to find a way to automate this workflow. We developed a dedicated article to share the admin-slashing story of how ClickMechanic used Pipedrive and a Zapier integration to drive fast growth. This integration has allowed ClickMechanic to operate this program seamlessly and eliminate around two hours worth of admin per day for each mechanic. ClickMechanic uses a WisePops form to capture lead information on site. The response then flows directly through to Pipedrive via a Zap with the relevant information, easily allowing the in-house mechanics to pick up and manage the consultation requests. Similarly, Railsware, a fast-growing software development company, uses FormKeep and Typeform to simplify lead collection for both the sales and HR teams. In the past, the team at Railsware manually entered contacts into a spreadsheet or CRM. Railsware’s Managing Director, Sergey Korolev, soon realized that this sort of tedious data entry was not only a huge time waste, but also very prone to error. Sergey wanted to find a solution to automate the manual work - the Pipedrive-Zapier integration was just the fix he needed. Now, when form responses come in, Sergey’s Zap automatically creates contacts in Pipedrive, and instantly creates deals for each response. Check out the full story of how Railsware use Pipedrive and Zapier to eliminate errors from their manual data entry and learn how you can close your deals faster using some simple automations. A social media campaign can also be an effective way to engage potential customers and capture lead data. Facebook Lead Ads provide a good example. Facebook Lead Ads pre-populate forms with a user's email address, so if someone is interested in your ad, they can submit their contact information with one click. Juggling contacts in several lists can be a headache for salespeople. This can easily occur if you’ve got mass mailing lists or other departments use a different CRM or spreadsheets to house their data. To get the most out of Pipedrive as a CRM, you need to make sure all of your company's contacts are saved in one place. Rafael at Arcus Business Design explains how he helps his clients add Pipedrive contacts to their newsletter mailing lists. "Whenever you register a new person in Pipedrive, you can automatically include them as a newsletter subscriber through a Pipedrive and MailChimp integration." This can be an effective way to warm up your prospects and move them through your sales funnel by keeping your brand front of mind. The team at ClickMechanic also use a Zap to connect Pipedrive to Mailchimp, so when a deal is moved to a new stage they can automatically send their customer an email via MailChimp with a quote. Joseph notes that the ease of this process has significantly increased the productivity of the in-house mechanics, and in turn, increased their rate and volume of sales. There’s nothing quite like the feeling of moving your deal to the next stage, but often that feeling is short-lived as the realisation of your new workload dawns. With so many deals at different stages, it can be hard to keep track of your next required action and you run the risk of losing momentum with your most important prospects. The best way to keep deals progressing through your pipeline (and to protect from competitors) is to take your next action quickly. Why not automatically create activities on the deal, immediately listing the next steps required in your sales process. Zaps can keep you and your team in check by automatically adding the activities you need to action to progress your deal through your pipeline to close. ARMS Software, a SaaS solution company for the College Athletics industry, also uses a Zap to create tasks across multiple teams. While the sales team uses Pipedrive to track tasks, the development team uses a project management tool called Pivotal Tracker. The ability to share tasks across differently tools can bring teams closer together and make cross-department collaboration a breeze. The hiring team at Railsware run a similar integration using Trello. Once an applicant reaches a certain stage in Pipedrive, a Zap triggers and creates a card in Trello. Zapier adds the applicant’s information from Pipedrive to the card, so the HR team can easily access all the information they need about the applicant. Communication is paramount to building a winning sales team. By connecting Pipedrive to your team communication tool, you can make sure your entire team gets real-time updates about deals. In an effort to speed up contact with prospects, Sergey connected Pipedrive to team chat tool, Slack. When new contacts are created in Pipedrive, Zapier sends a message to Railsware’s sales team with the lead’s name, email address, phone number, and what service they’re interested in. Armed with all this information, the sales team closes deals faster and offers a better experience for their clients. The Slack integration can also be a useful tool to keep managers in the loop and keep track of sales velocity. Lennart Kuijs, co-owner and technical director of marketing merchandise company Pinkcube, never misses a closed deal with Slack notifications. "This Zap notifies me and my business partner of any won deals, without us constantly looking at the Pipedrive dashboard. For us, this means that we’re able to see sales progress, even when we’re out of the office." Lennart Kuijs, co-owner at Pinkcube. Closing deals is also cause for celebration! Promoting a culture where excellent work is openly celebrated breeds more excellent work. Steve uses a Zap which sends a Gmail message congratulating the team to celebrate when a Pipedrive deal is won. Sales managers often have a love-hate relationship with reporting. Reporting generates valuable insights for your business, allowing you to track success and constantly refine your processes. But too often reporting is deplored (and ignored) because of the work involved. It doesn't have to be difficult, though. Plugging Pipedrive in with Zapier can simplify your reporting process for all tools, while keeping manual data entry at bay. Part of what makes a successful sales manager is understanding the process of the sale, for example, how many touches or activities it takes to close a deal. Effective sales reporting removes the guesswork and gives you a clear view of where your company stands at every stage of your sales process. You can also use this integration to automatically import timestamp data to Google Sheets. This means whenever an activity is marked as complete or a deal is closed, you can check it against the time that the deal was created. This allows you to track your sales velocity and the average length of your sales cycles efficiently. Efficient reporting is essential to get a real-time view of your sales activities, to understand how your team is performing, and to identify opportunities for improvement with complete clarity. If you’re looking to scale fast and develop a consistent, repeatable sales process, automation technology is the only way forward. Combining the power of Pipedrive with Zapier allows you to create robust automations to simplify your workflow and supercharge your sales. Sign up to Pipedrive and a Zapier. Login and build a custom workflow with Pipedrive and Zapier.